Leading Australian manufacturer of drinking water and diesel tanks, Flexitank offers a full range of black and grey wastewater holding bladders for marine vessels. 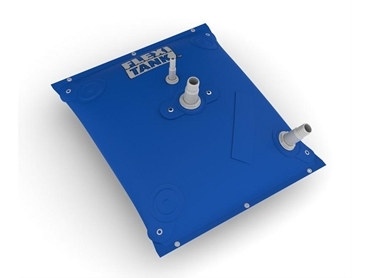 The new Flexitank flexible bladder tanks designed to hold marine grey and black wastewater meet new EPA requirements. New EPA rules now stipulate that any vessel within state waters incorporating shower, galley, toilet or wash facilities must have onboard wastewater holding facilities. Flexitank's range of flexible bladder tanks is the perfect economical answer to meet the new EPA boating waste holding requirements. Flexitank’s new waste holding tanks can hold from 50 litres to 1000 litres of greywater or black water and are flexible enough to conform to various onboard spaces. Flexitank’s range also includes bladder tanks for drinking water and fuel suitable for marine activities. Flexitank's flexible bladder tanks are available for purchase now from Flexitank's online store for worldwide shipping and immediate delivery. All waste tanks can also be totally custom-designed to individual specifications.